Michal Kempny isn't going anywhere. The 27-year-old defenceman has signed a four-year, $10 million deal to remain in Washington. The deal carries a cap hit of $2.5 million. 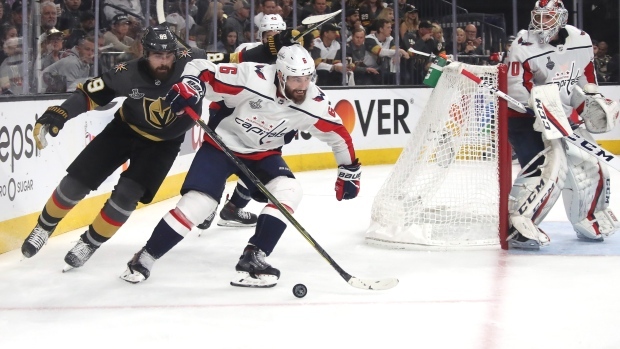 TSN Hockey Insider Darren Dreger noted Thursday Kempny was drawing interest on the free agent market, but has decided to stick with the Stanley Cup champions. Kempny was acquired at the trade deadline from the Chicago Blackhawks in exchange for a third-round pick in the 2018 NHL Draft. In a combined 53 games last year between the two teams, Kempny had three goals and seven assists. He is coming off a one-year deal that carried a cap hit of $900,000. Kempny is a native of Hodonin in the Czech Republic.